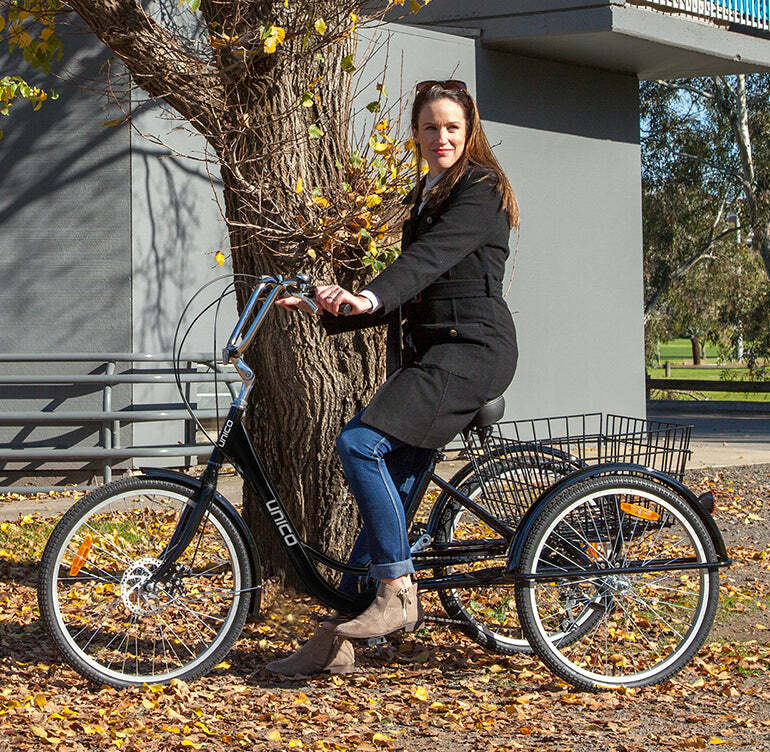 Experience the workhorse of cycles; the Unico Liberty 24” Trike. Stay comfortable and balanced at all times with two rear wheels and high sweptback handlebars. Ride easy with 7 speeds of Shimano Drivetrain and Tektro disc brakes. 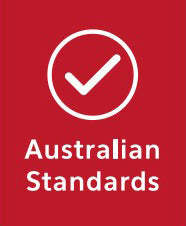 Transport precious cargo safely with steel rear basket. Cruise around town in safety and comfort in the saddle of a Unico Liberty 24” tricycle. Riders of all abilities and experience can find something to love about upgrading to an adult’s sized three-wheeler. Whether it’s the added safety and accessibility, or the supreme luxury, cruising on the Liberty is a leisurely ride in any environment. 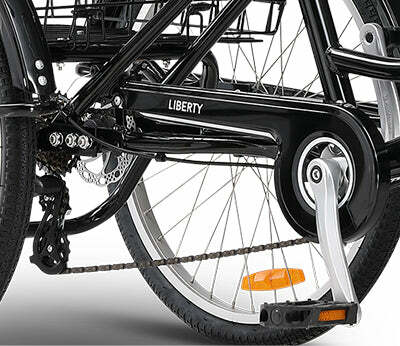 The Liberty combines two rear wheels, a low-step-through frame, and high sweptback handlebars. The result: ultimate balance and support. Cycling is made accessible to elderly and disabled riders, and the emphasis on balance even makes the Liberty a safe option for injury rehabilitation. Capable and able-bodied riders will enjoy a relaxing ride on the Liberty trike. 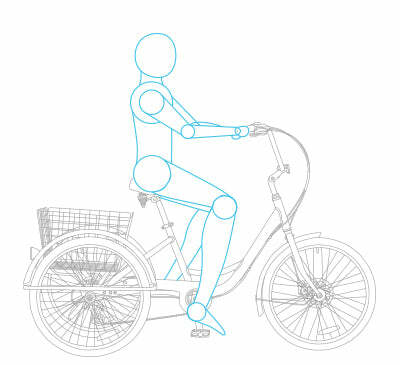 Mounting and dismounting is simplified with the low-step-through frame. High sweptback handlebars allow riders to adopt a comfortable upright posture, offering excellent support through the spine. Continuing to provide excellent safety on road, the Liberty comes equipped with reliable Tektro Disc Brakes. 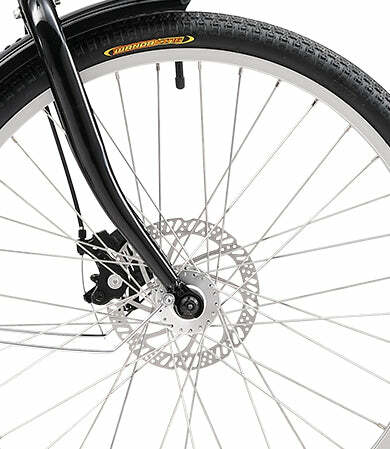 In wet conditions, disc brakes offer superior stopping power to rim brakes. 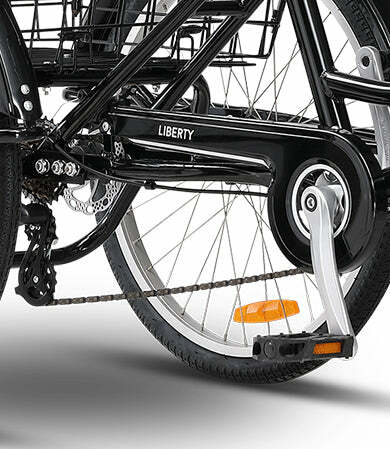 For greater versatility, the Liberty uses a Shimano Acera 7-Speed drivetrain to tackle hills with ease. 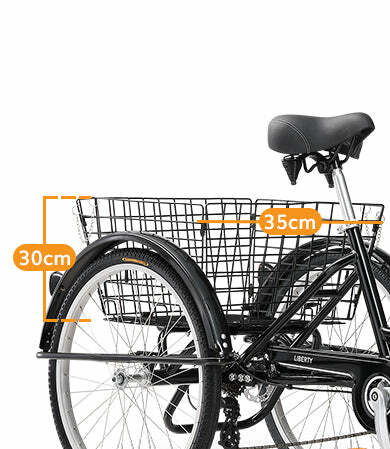 With a large 45cm long by 35cm wide rear steel basket the Liberty is always handy either for a trip to the grocery store, or travelling somewhere burdened by heavy luggage. Steel front and rear mudguards further improve the Liberty’s accessibility for riding in wet or muddy conditions. 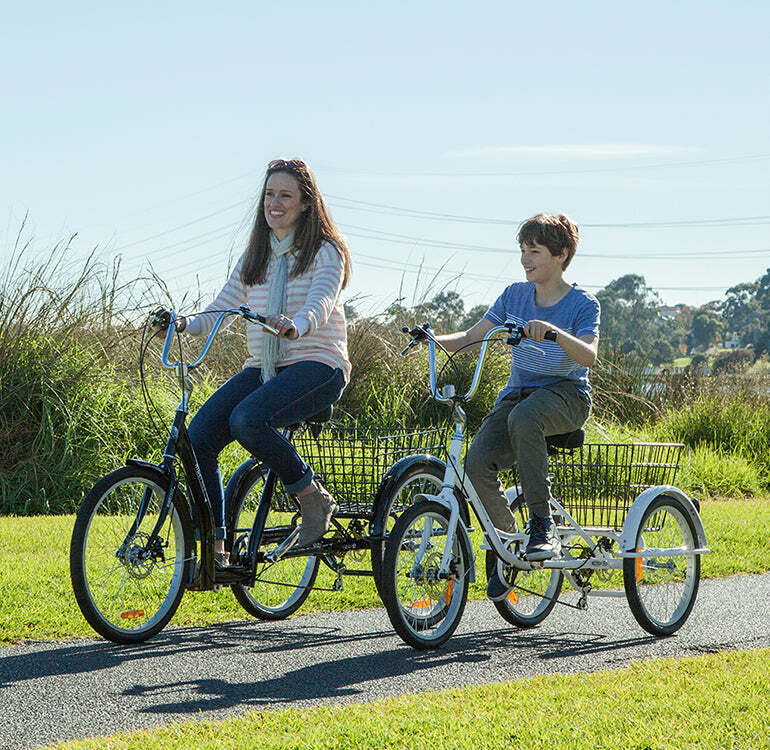 Discover something you love about riding a tricycle with the Unico Liberty 24”. Take control of a range of resistance with the Shimano Acera 7 Speed Drivetrain. Shift easily between gears with the Shimano Rapid Fire Plus gear shifter. 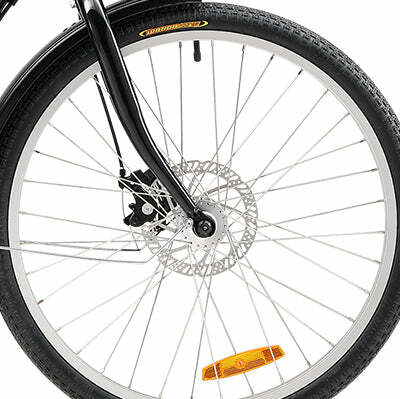 Front and rear Tektro disc brakes give you piece of mind coming to a quick and safe stop. The parking brake feature lets you engage the brakes and step off the trike, confident that it will stay put. 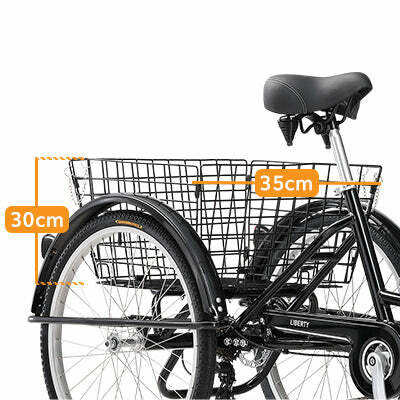 Transport a large load with a steel rear basket 45cm long, 35cm wide, and 30cm high. Great for storing any manner of precious cargo on your journey. A double sprung comfortable saddle keeps spines supported throughout long rides. 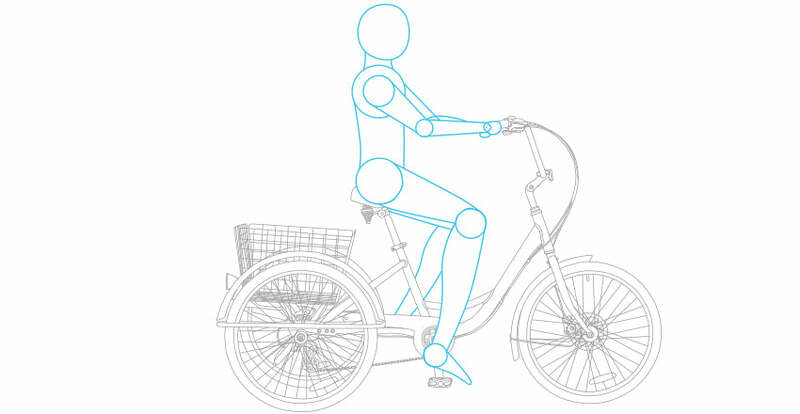 Wide and high swept back handlebars let riders sit in an upright position.